accurate diagnosis, determining areas of strengths/weaknesses and providing more thorough treatment intervention recommendations. Results are available 1-2 weeks after evaluation. Psychological evaluation is often performed in conjunction with the ADHD evaluations and is designed to measure a child's social and emotional functioning in order to conceptualize and accurately diagnose any psychological difficulties. Results are available 1-2 weeks after evaluation. An early developmental evaluation is a specialized assessment of infants, toddlers, and preschool aged children, with a wide range of developmental, behavioral, emotional, and learning difficulties. The evaluation integrates information from a wide variety of sources to determine how the child is progressing in several areas of development, including cognitive, language, motor, attention, behavior, social, and play skills. The comprehensive nature of such an evaluation enables more accurate diagnosis, determining areas of strength and weakness, and the need for intervention. Results are available 1-2 weeks after evaluation. 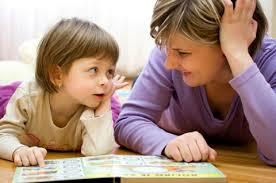 Autism Spectrum Disorder evaluation is a specialized assessment for children ages 18 months and older. This evaluation integrates a structured caregiver interview​ with other measures to provide a comprehensive assessment of the concerning symptomology related to potential Autism Spectrum Disorder. The comprehensive nature of such an evaluation enables more accurate diagnosis, determining areas of strength and weakness, and very specific recommendations for intervention. Results are available 1-2 weeks after evaluation.